X-Ray Tests May Heighten Cancer Risk In Susceptible Women : Shots - Health News Researchers concluded that exposure to diagnostic radiation before age 30 is associated with an increased breast cancer risk in women with a certain genetic mutation. They recommend that if a girl or young woman needs diagnostic evaluation via X-ray or CT scan for any reason, she should undergo MRI, which does not use radiation. Researchers report that women with genetic mutations that put them at dramatically increased risk of developing breast cancer may also face a heightened risk from radiation used during medical screening and diagnosis. The imaging tools that help doctors identify disease, injury or damage to the body have long been known to carry some risk of cancer, in large part because ionizing radiation can damage the genetic material in the body. If the body is unable to repair that DNA damage, and if cells are changed permanently, they may go on to produce abnormal cells when they divide. When that occurs, these cells may become cancerous. Scientists had postulated that women with the BRCA1 or BRCA2 genetic mutations might be especially vulnerable, as these genes are involved in the repair of DNA breaks, which can be caused by radiation from X-rays or CT scans. In the study, published in the latest BMJ, researchers from the Netherlands Cancer Institute looked at 1,993 women older than 18. All of them carried the BRCA1/2 mutation. The women came from the Netherlands, France and the U.K. Their health status was monitored between 2006 and 2009. The women were asked when, how often and at what age they had either a chest X-ray or mammogram. Of the 1,993 women, 43 percent were diagnosed with breast cancer. 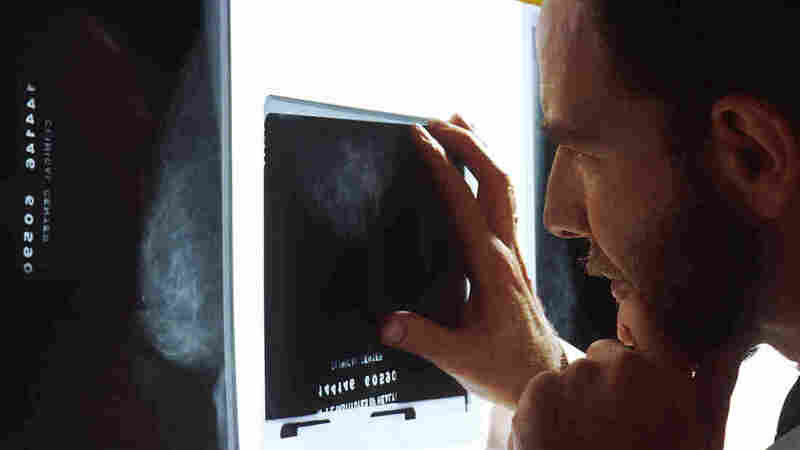 Those who had diagnostic screening using radiation to the chest between the ages of 20 and 29 experienced a 43 percent increased risk of breast cancer. Those who had such screenings at a younger age, before 20, increased their risk even more, by 62 percent. The authors conclude that "exposure to diagnostic radiation before age 30 is associated with an increased breast cancer risk in BRCA1/2 mutation carriers" and recommend that if a girl or young woman needs diagnostic evaluation via X-ray or CT scan for any reason (concern about heart defects, pneumonia or organ damage, for example) they should receive an MRI, which does not use radiation. At the same time, the study found no apparent link to breast cancer among women who got mammograms after age 30. This is somewhat reassuring, as most health experts recommend women who carry these mutations don't begin regular screening until age 30. "There's no question this is a large increase in risk," said Dr. Len Lichtenfeld, deputy chief medical officer for the American Cancer Society. He added that the findings are cautionary and should "give physicians and patients pause when considering a nonessential X-ray or CAT scan." If the study findings "get people to stop for just a moment to think about what they are doing and why, then it's a good thing," he said. In some cases, he added, other alternatives will work out fine — like a good, old-fashioned physical exam.